“Deciding what not to do is as important as deciding what to do.” – Jessica Jackley, founder of the global micro-lending company Kiva. The hallmark of a flourishing business is delegation. It’s about reserving your time for what you do best, maintaining the big-picture vision and day-to-day workings of an enterprise, while handing off other responsibilities. 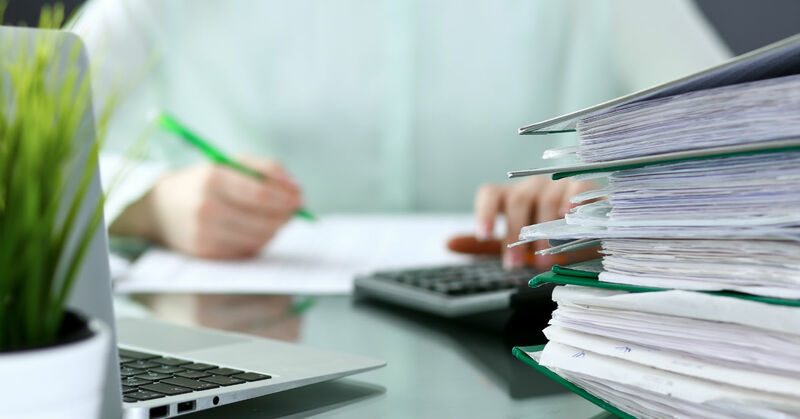 If you’re ready to take some financial gruntwork off your plate but don’t have the budget for an in-house bookkeeper, you don’t have to look far for help. With offices in the Southern Utah cities of St. George and Cedar City, accounting professional Adrian D. Anderson, MAcc at AA Tax and Accounting Services is ready to crunch the numbers and attend to the paperwork piling up on your desk. If you’ve founded your own business, chances are you’re a creative type rather than the proverbial “bean counter.” Unless you majored in accounting, your educational and life experiences may not lend themselves to the legal and organizational intricacies of business bookkeeping. It’s all too easy to make errors in your calculations, miss paying bills or lose track of invoices. Over time, even small missteps can harm your business through consequences like late fees and loss of credit or income. Even if you manage largely error-free bookkeeping, you may be investing an inordinate amount of time and worry into the job. Few things have a greater negative impact on your family life than spending all your time at work or carrying job stressors home with you. Some people avoid sharing the financial responsibilities of their business out of mistrust or a fear of losing control. The greatest way to lose control, however, is through the chaos that ensues when you are over-extended. Outsourcing your bookkeeping can let you focus on the countless other demands of your business, including marketing, strategy, funding and employee performance and relations. You’re also free to put out the inevitable fires that crop up, dealing with the minor crises that characterize any business undertaking. Is your spending threatening to exceed your earnings? Are you being frugal enough, taking advantage of small ways to save that add up? Are you making decisions that are “pennywise and pound-foolish”? There are many instances when a larger initial cash outlay can bring you long-term savings. Are you maintaining the appearance of professionalism and fairness in your financial dealings? Clean and above-board accounting is key when it comes to maintaining the trust of business partners, vendors, clients and employees. Time is money, as the saying goes. Why spend your greatest asset on routine tasks that are difficult, lengthy and boring when there are skilled and efficient bookkeepers who enjoy the left-brain puzzle of making operational ends meet?